We tackle all types of cleaning tasks during our regular maid service. Keeping your home clean is a task that may fall by the wayside. For most people, life just keeps getting busier, so finding the time to keep up on housework might feel impossible. However, a clean home does come with several key benefits. When your house is clean, it is typically easier to stay healthy since you don’t have dust mites, dirt, and bacteria hiding in the carpets or on the countertops. A clean home typically offers a more calming feeling for you and your family, while walking into a house full of dirt and clutter can make you feel instantly stressed. Additionally, regular cleaning can extend the life of your carpet and other flooring, so it can protect your investment. 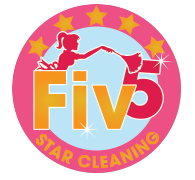 If you’re ready to take advantage of these benefits, contact us at Fiv5 Star Cleaning. We offer maid service to customers throughout Charlotte, North Carolina. When you schedule maid service with our team of cleaning experts, you don’t have to worry about anything. We’ll come in with the supplies and equipment needed to clean your house from top to bottom. Additionally, we offer customized cleaning options, so you can decide what is most important for us to focus on during each session. We tackle all types of cleaning tasks during our regular maid service. Some of these include vacuuming, dusting, and mopping the floors, cleaning baseboards and windowsills, cleaning mirrors, countertops, and sinks, sanitizing toilets, showers, and tubs, cleaning kitchen appliances, and dusting all surfaces. Contact us today for more information about our maid service. At Fiv5 Star Cleaning, we offer a maid service in Charlotte, Concord, Cornelius, Gastonia, and Mooresville, North Carolina, as well as Rock Hill, South Carolina.